Camden Frontline has a newsletter that is published as often as possible. If you have an article, artwork, personal story or poetry that you would like to see in the newsletter or if you would like to help with the newsletter in any way, please use the contact details on this page and get in touch. We would really like to hear from anyone that’s interested! Frontline newsletter Autumn 2018 – click here to read! 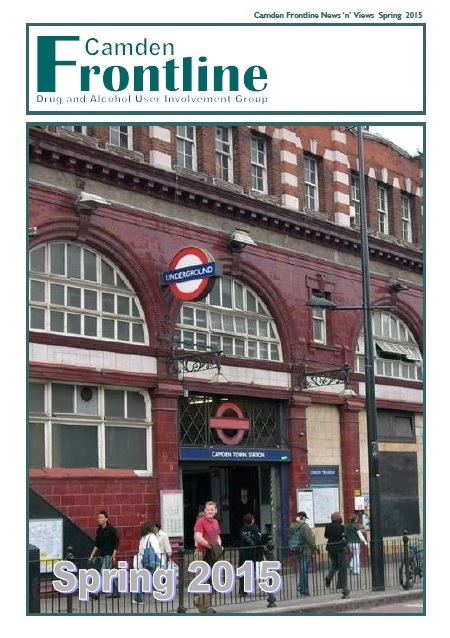 This edition contains: Drink Drug News (DDN) conference report, Camden User Involvement changes, Hep C support group update, artwork from Frontline members and services activities and events. Frontline Newsletter Winter 2016 – Click here to read! This edition contains: An article about the prescription painkiller Tramadol, alternative uses for Vicks VapoRub, Frontline trip to Southend, Black History month, training opportunities, Opium & Needles play review by service users and more! Frontline Newsletter Summer 2016 – Click here to read! This edition contains: User involvement, Mobile Health Unit, Spice, St. Patricks day, Superstar Animals, Hep C update, New Drug Treatment System, a Family Story, RIP and Congratulations. Frontline Newsletter Winter 2015 – Click here to read! This edition contains: Tribute to Mark Brown, Black history month, Wear shoes in the house? New Naloxone initiative, info on Drinking Safely and Legal Highs, Why do we wear poppies? Camden town is falling, Personal Independence Payments & British Drugs survey. Frontline Newsletter Summer 2015 – Click here to read! 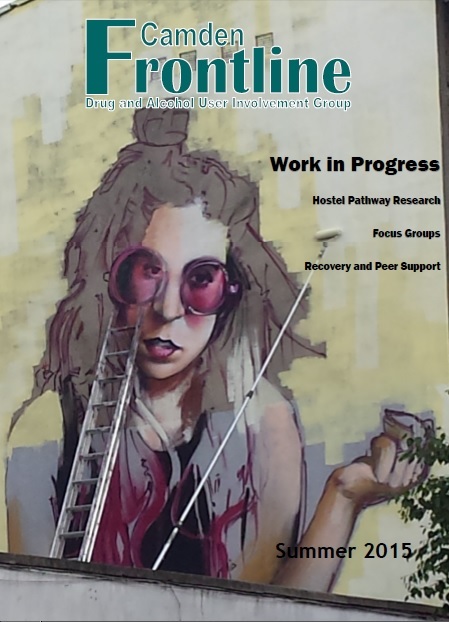 This edition contains: Tributes to deceased Frontline member Pat Shanahan, focus groups and tender panels, photos from the summer picnic, poems, hostels pathway peer research, courses and training & World Hepatitis day. Frontline Newsletter Spring 2015 – Click here to read! This edition contains: National Service User conference in Birmingham, the Mobile X Ray unit, artwork, poems, reflections, Recovery And Peer Support Projecty (RAPS), dual diagnosis, contract monitoring and birthday celebrations. Where is Summer 2016 Newsletter? It’s right there at the top of the page!